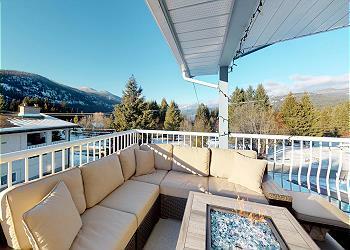 The Best Vacation Rentals in British Columbia. When you book your accommodation in Big White, Idabel Lake or Christina Lake with RentChalets by Vacasa you are assured you have made the right choice for vacation rentals in the Okanagan and Boundry Country. RentChalets is now part of Vacasa, we are located in the village center of Big White with locations in the surrounding areas and an easy to find office in Trappers Crossing. When you book with RentChalets you can ask us any questions from how big is the hot tub to is it snowing and we can give you the most up to date information or weather report. We manage a selection of residences across southern British Columbia that reflect different budgets and different needs, from the ultimate wow of Rockridge 361 to a great budget value property like Arolla D we can work with you to ensure your vacation home is just what you need. Bringing your dog? No problem, we have many dog friendly residences. Which ever residence you stay in it will be ready for you and prepared to the highest standard. We are the only full service company in the area who maintains the entire residence including the hot tub. So when your hot tub is being checked during your stay the RentChalets staff member can help you with any services or information you need. During your stay you can access our attentive 24 hour services to handle any issues that arise. We look forward to welcoming you to beautiful British Columbia, now open in the summer. All our pricing is in Canadian Dollars. 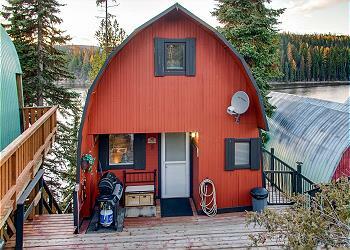 If you're looking for a get away we are the specialists in Canadian Chalets.